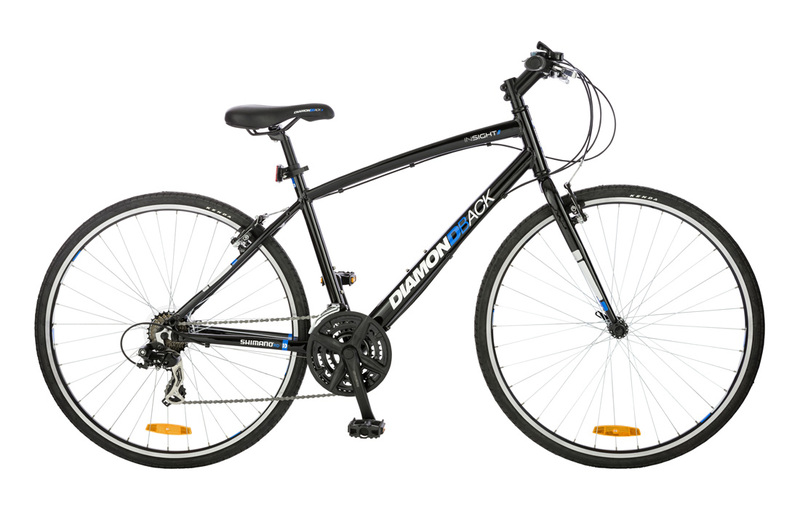 This model is fitted with an Ahead stem assembly. The bearings are adjusted via an 5mm allen head compression bolt and then fastened by clamping the stem directly to the fork steerer. To assemble, remove all protective covers and unscrew bolt holding top plug. Slip handlebar stem over exposed fork steerer and replace top plug. Make sure the handlebars and fork face the front. Without over tightening, carefully tighten down the steering assembly via the Allen head centre bolt so there is no bearing freeplay. 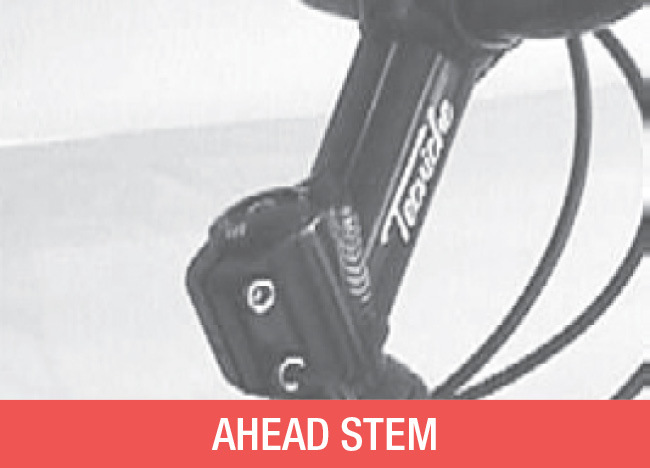 Firmly tighten up the binder bolts which clamp the handlebar stem to the fork steerer. 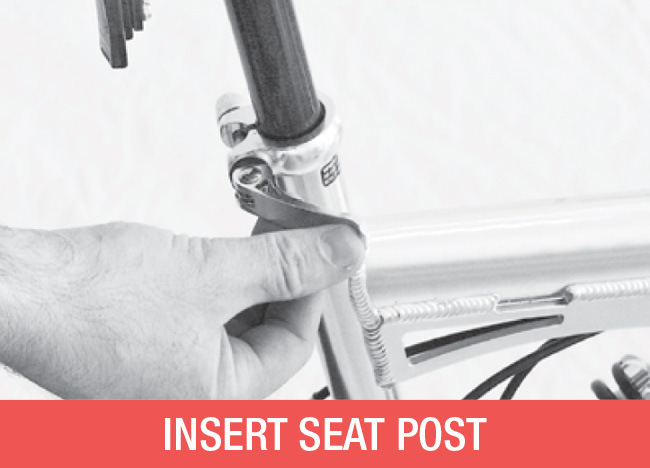 Insert the seat post with saddle into the seat tube of the bicycle, ensuring the minimum insert mark on the seat post is fully covered inside the frame. 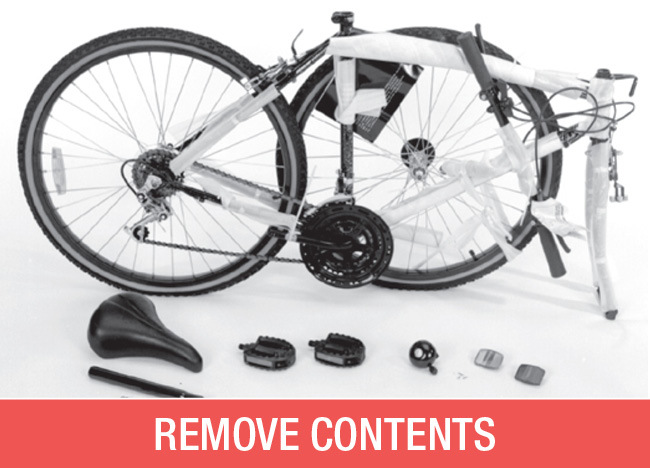 Adjust and firmly tighten the Quick Release seat tube clamp, closing the lever so it is horizontal and facing forward. If resistance is not firm, open the QR lever and tighten the adjusting nut in a clockwise direction. Close the lever and repeat if necessary. Turn the bicycle upside down and rest it on the seat and the handlebars. Insert the front wheel into the forks ensuring that the axle fits well up against the fork end slots. Ensure the QR lever is open and on the left side of the bicycle. Check that the QR tension is correct; close the lever so that it is parallel to the forks. If resistance is not firm, open the QR lever and tighten the adjusting nut in a clockwise direction. Close the lever and repeat if necessary. 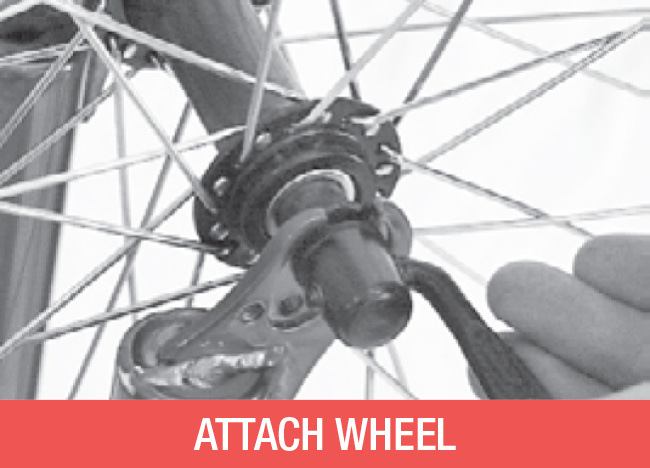 Adjust the front brake by loosening the brake cable at the anchor bolt using a 10mm Spanner. Squeeze the caliper by hand to ensure the pads sit squarely and evenly on the rim. Pull the cable tight and re-tighten the anchor bolt so that the brake pads are a maximum of 2mm from the rim on each side. Fine tune by turning the cable barrel adjuster. Brake shoe nuts and cable anchor must be firmly tightened. 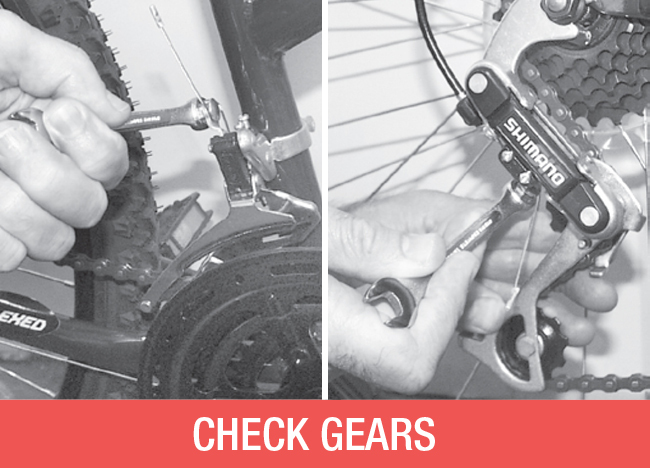 Check adjustment for rear brake and test both. 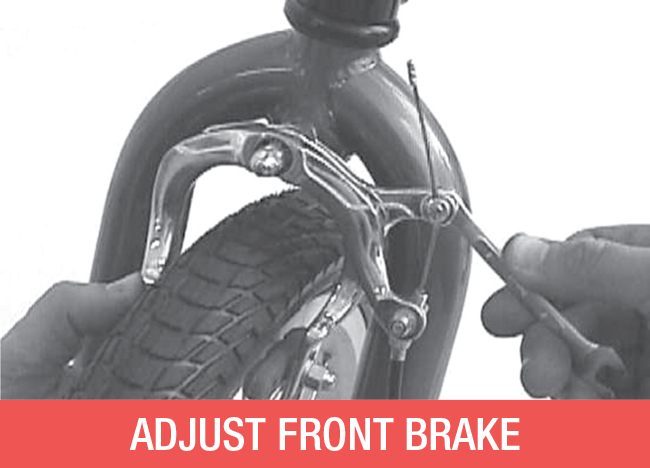 Be sure that right hand brake lever operates front brake, and the left lever operates the rear brake. 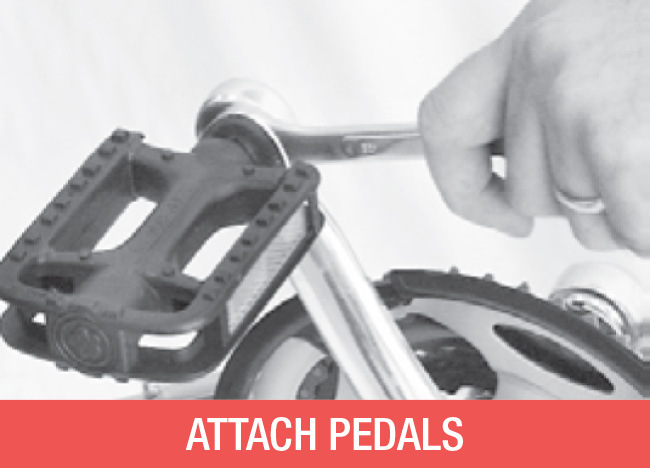 Before operating gears, check that the 10mm anchor bolt that clamps the control cable is firmly fastened. Only then test the gears ensuring the drive chain moves freely into each position when the control lever is activated. If further adjustments are needed, refer to the relevant section in The Owners Manual. Attach the bell to the left hand side handlebar. Attach the red rear reflector to the bracket provided and the white reflector to the front. Adjust reflectors to the 90 degree vertical position. Please see separate instructions for basket assembly.